_The Yoga Connection is been very active in continuing education and we are continually expanding our yoga offerings in specialized areas. 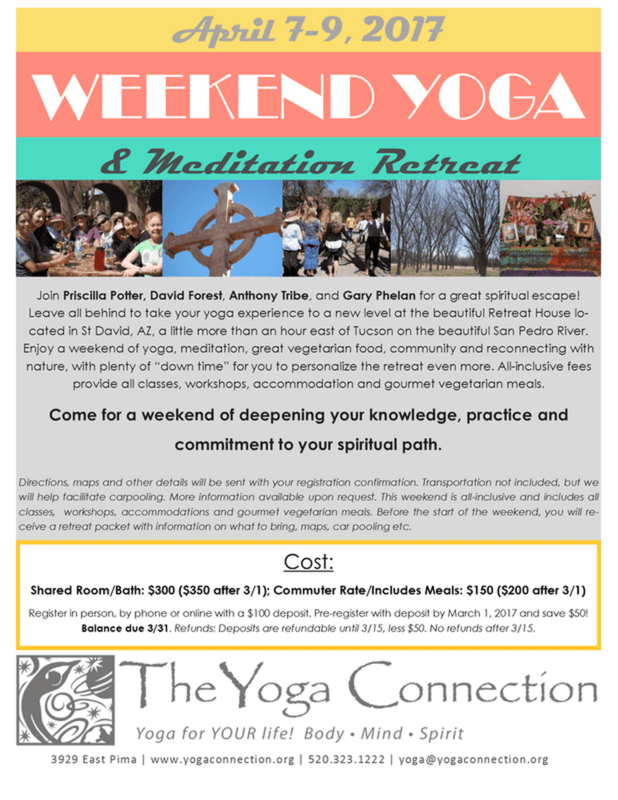 Our retreats are a highlight of our teacher training and we also offer retreats to students as an opportunity to reconnect with their teachers, network with peers, and, most importantly, strengthen their own practice. Restart or deepen your practice and energize your practice…these programs are designed to meet each of you where you are. Our retreats will gently remind you of why you started yoga in the first place!